Watch the former Smiths frontman cut a rug in his sprightly new video. 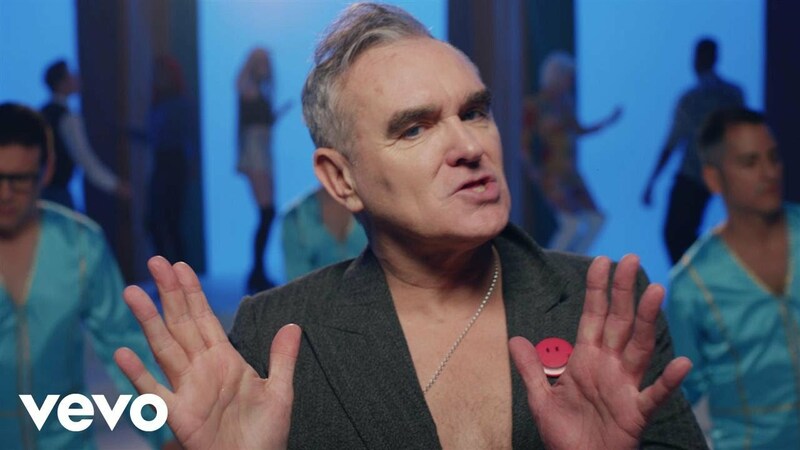 Morrissey has released the video for his 60s-inspired Jacky's Only Happy When She's Up on the Stage promo. The single is the second cut to be taken from his Low In High School album, following lead track Spent The Day In Bed. Meanwhile, last week Morrissey vowed to never do a print interview again. The Smiths man came under fire after it was reported in Der Spiegel that he said Kevin Spacey was "needlessly attacked" following his sexual assault allegations. A translation of the interview also suggested that Morrissey said some victims were "simply disappointed". Morrissey has also credited himself with influencing gender and sexual fluidity. "I spearheaded the movement. I know no other way, so nothing has changed for me, but the rest of the world leaps on. "I am pleased because I want people to be happy. There is an expiration date on our lives on this planet. You have to be yourself and hopefully get some happiness from it. The Suedehead star recently added a fourth and final London date to his UK tour at London's O2 Academy Brixton, with tickets going on sale last Friday (24 November).